VivitraTM (Trastuzumab) is indicated for the treatment of patients with HER2 overexpressing metastatic breast cancer. VivitraTM (Trastuzumab) is also indicated in combination with aromatase inhibitor for the treatment of patients with HER2 overexpressing and hormone receptor-positive metastatic breast cancer. 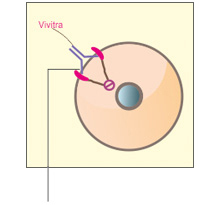 VivitraTM (Trastuzumab) is indicated for the treatment of patients with HER2 overexpressing early breast cancer following surgery, chemotherapy (neo adjuvant or adjuvant) and radiotherapy (if applicable). VivitraTM (Trastuzumab) is also indicated for adjuvant treatment of patients with HER2 overexpressing node positive or node negative breast cancer (i) as part of treatment regimen comprising doxorubicin, cyclophosphamide, and either paclitaxel or docetaxel (ii) with docetaxel and carboplatin. 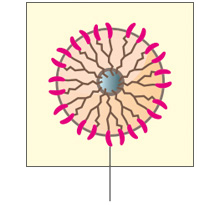 VivitraTM (Trastuzumab) is indicated for the treatment of patients with HER2 overexpressing metastatic gastric or gastroesophageal junction adenocarcinoma in combination with capecitabine or 5- fluorouracil and cisplatin who have not received prior anti-cancer treatment for their metastatic disease. Cardiomyopathy: VivitraTM (Trastuzumab) can result in sub-clinical and clinical cardiac failure manifesting as Congestive heart failure (CHF), and decreased Left ventricular ejection factor (LVEF), with greatest risk when administered concurrently with anthracyclines. Evaluate cardiac function prior to and during treatment. Discontinue VivitraTM (Trastuzumab) for cardiomyopathy. Infusion reactions, Pulmonary toxicity: Discontinue VivitraTM (Trastuzumab) for anaphylaxis, angioedema, interstitial pneumonitis, or acute respiratory distress syndrome. Embryo-Fetal Toxicity: Exposure to VivitraTM (Trastuzumab) during pregnancy can result in oligohydramnios, in some cases complicated by pulmonary hypoplasia and neonatal death. Most Common Adverse Events with VivitraTM (Trastuzumab): These are anemia, neutropenia, thrombocytopenia, diarrhoea, nausea, vomiting, stomatitis, pyrexia, asthenia. Zydus Cadila is a fully integrated, global healthcare provider, with strengths all along the pharmaceutical value chain. VivitraTM (Trastuzumab) is a highly biosimilar medicinal product of reference biologic. It is a humanized monoclonal anti-HER2 (Human epidermal growth factor receptor 2) antibody. 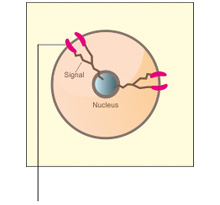 It comprises of 1328-amino acids; glycoprotein.